How have technological change and the rise in organised networks affected international order? William Brown, Senior Lecturer in Government and Politics, is joined by fellow Open University lecturers Dr Simon Bromley and Dr Helen Yanacopulos to investigate the key issues through recent events such as the 'Jubilee 2000 debt campaign’ and the financial crisis of 2008, along with a look at traditional political ideals such as Marxism and Capitalism. This material forms part of The Open University course DU301 A world of whose making? A short introduction to the album. Free learning resources in technology, relating to light, as part of The Open University's International Year of Light celebrations. Globalised innovation: One size fits all? A one world approach can lead to one size fits all results, warns Tom Hewitt in his response to Lord Broer's third Reith Lecture. What do you think about the struggles faced by the working class? Fill in our short survey and share your thoughts and memories. Discuss: Does work define your class position? What do you think about work and the working class? Fill in our short survey and share your thoughts and memories. This free course, The politics of devolution, which contains material from the current Open University second level Politics course DD203 Power, equality and dissent, is pitched at the intermediate level. It should take you about 8 hours to study if you attempt the recommended exercises and make summary notes of its key points. 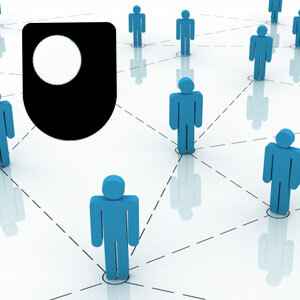 Doing so will allow you to practise the crucial academic skill of summary and prcis extracting the gist of an argument which will be of particular help if you go on to study in related areas: perhaps the related politics courses on the OpenLearn website or the Open University modules from which they come. Elizabeth Silva rounds off the 'Methods in Motion' blog series reflecting on how her own life experience has informed her ways of knowing, and the contribution made by the MiM blogs to advancing 'how we know'. An incident involving a nervous passenger and a Caribbean steel band raise issues to do with racism and security.